This is the lead form override for "The Piamba Home Team Rewards". So what is the Rewards Program? It’s a fun way for us to say thank you to our supporters through monthly giveaways and exclusive offers, invitations to fun, private events and more! All of our past and current clients as well as those who have introduced us to someone looking to buy or sell a home automatically become Silver Level members without any action necessary! Prizes will vary monthly from electronics, gift cards, name brand goodies, movie tickets, sporting event tickets, etc. 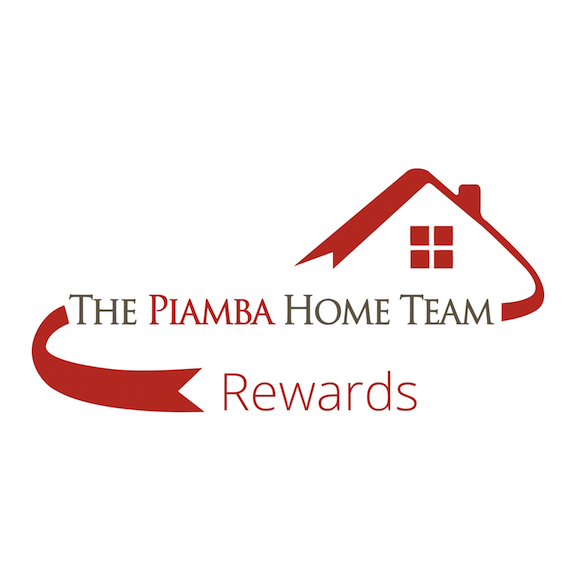 We keep you informed through announcement emails and The Piamba Home Team Rewards Facebook group page to keep up with what is happening and where the lucky winner can pick up their monthly prize. What if you send us a new referral or contact us for a personal transaction? Then you move up to GOLD LEVEL: As a Gold Level member, you will also receive your very own The Piamba Home Team Rewards Starbucks gift card. This is an exclusive card that will have a balance preloaded at the time we meet your referral. It doesn’t stop there! The perks keep coming. You will have a monthly deposit automatically made into the card that will continue for 6 months! If we receive another referral from you during that 6 months, you will have an automatic BONUS loaded onto your card as an additional Thank You and your monthly deposits will be extended another 6 months. Your free coffee (or tea, pastries or gifts) can extend for years, as long as we receive and meet with a referral from you at least once every 6 months (or speak to them by telephone if they are out of state). What if we don’t get another referral in those 6 months? Not to worry; your Silver Level membership always stands with access to win one of the fun prizes plus additional event invitations. You can always return to GOLD Level with another referral. What is the best way to make a referral? It’s very simple. Just send out a quick text message or email introduction between us and the person who is interested in buying or selling so that we can set up an appointment and meet with them in person. It doesn’t matter if they end up selling or buying a house as long as we meet with them. We just want to thank you for continuously thinking of us! How easy is that? The BEST part is that this applies anywhere in the US! If you know of someone who is looking to buy or sell anywhere in the U.S., we can help connect them with a realtor who is personally interviewed and vetted by us so that you or your loved one can rest assured that they are working with a true professional with plenty of experience and knowledge! Couldn’t be any easier, right? Why do we do this? Our goal in 2019 is to be able to help 100 families with their housing dreams. For some it may be buying that first home and for others it’s selling their home to move into the next because their family has grown or maybe it’s just too big of a house now. Whatever the reason is, we understand what a big step it is and are always mindful to help and guide as if it was our own family. We realize that through supporters like you spreading the word, we will be able to accomplish our goal of helping 100 families much faster! This is our way to continuously show you our appreciation. Have an introduction to make? Contact us today!